Dr. Amy Stoltenberg grew up in Edison, NJ. She received her B.A. In Biology from Rutgers University and her D.V.M. degree from Tuskegee University. Dr. Stoltenberg lives in Edison with her dogs Billy and Cookie and her cat Stitch. 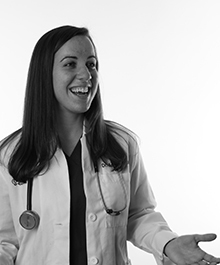 Her interests are in Internal Medicine and Ultrasound.